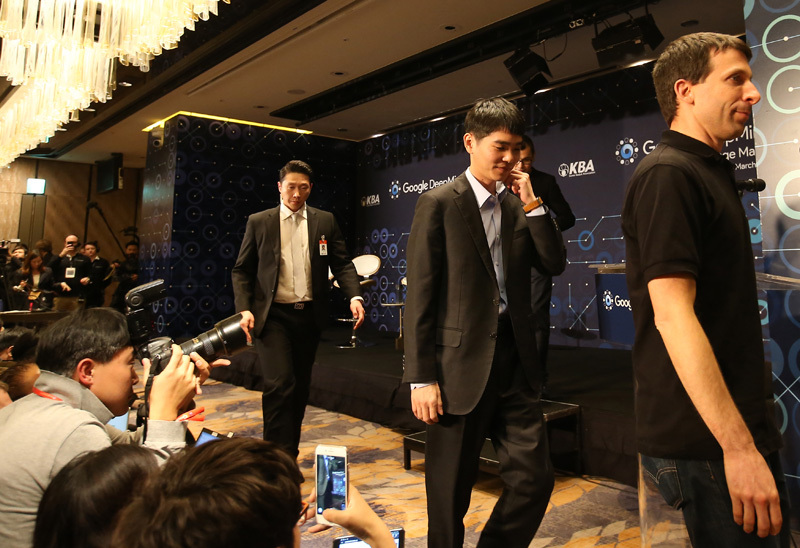 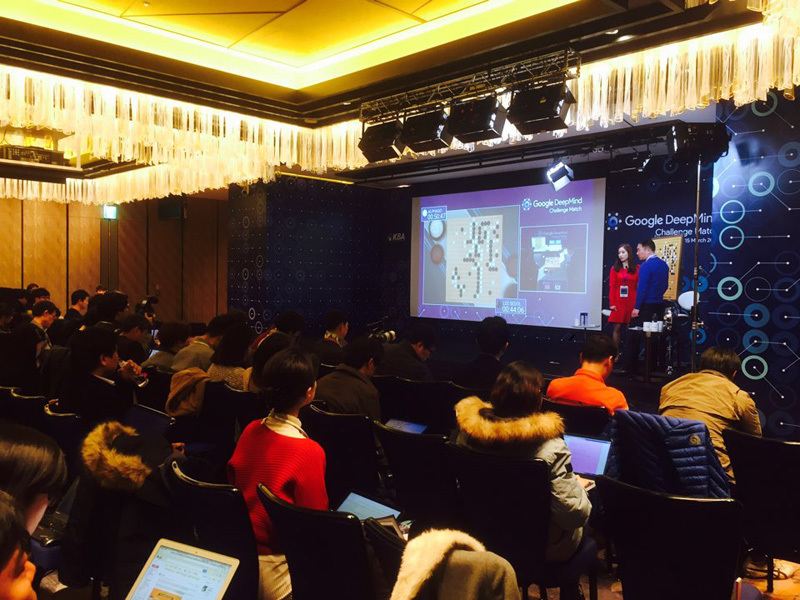 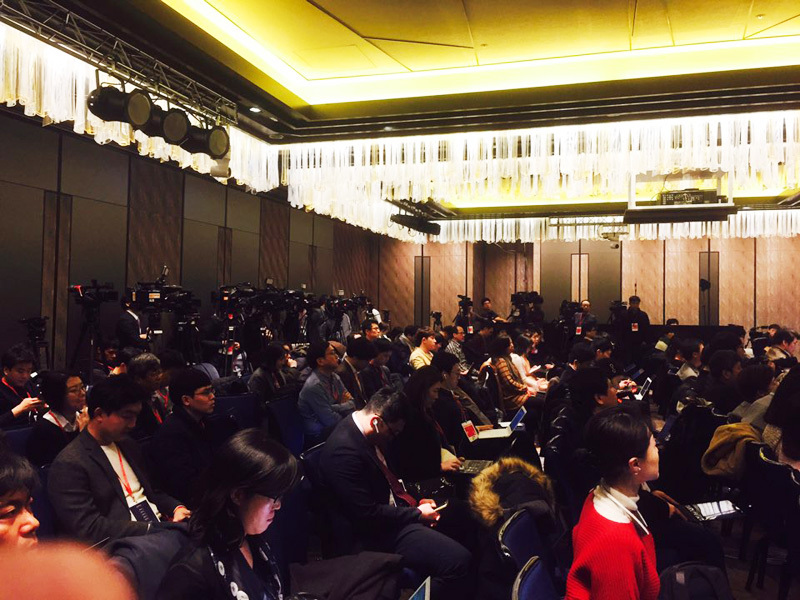 Korea Times intern reporter Lee Han-soo was at the scene of the first round of the historic five-game go match at the Four Seasons Hotel in downtown Seoul, Wednesday. 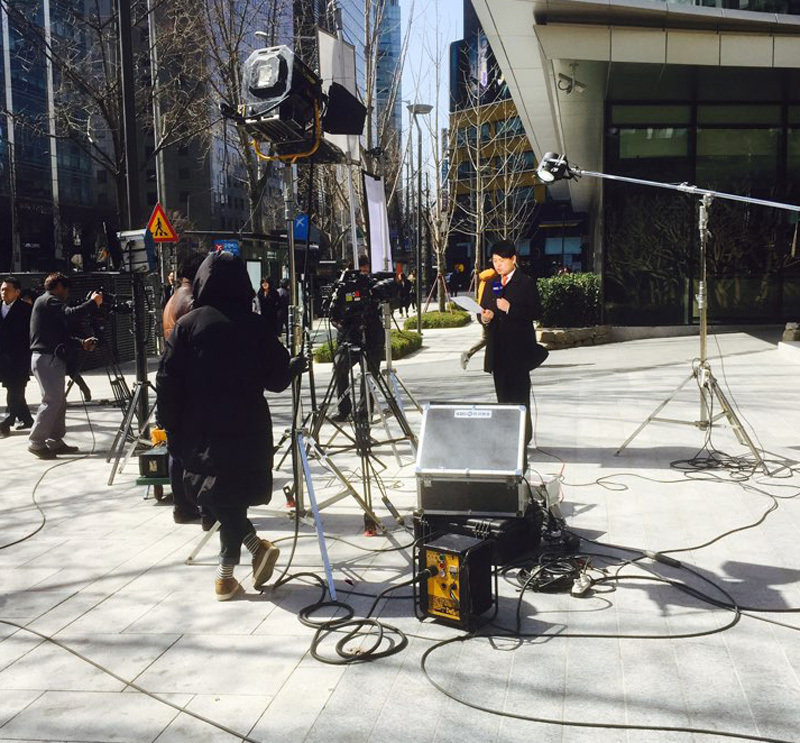 He took behind the scene photos of the arena that are normally edited out in media coverage. 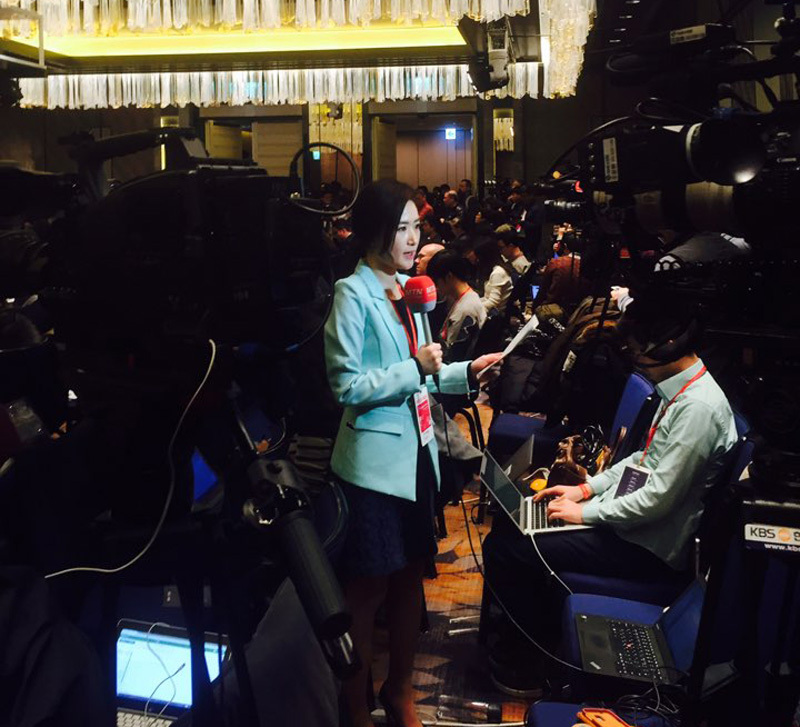 The picture includes reporters banging out articles, photographers and TV crews capturing the once in a lifetime event. 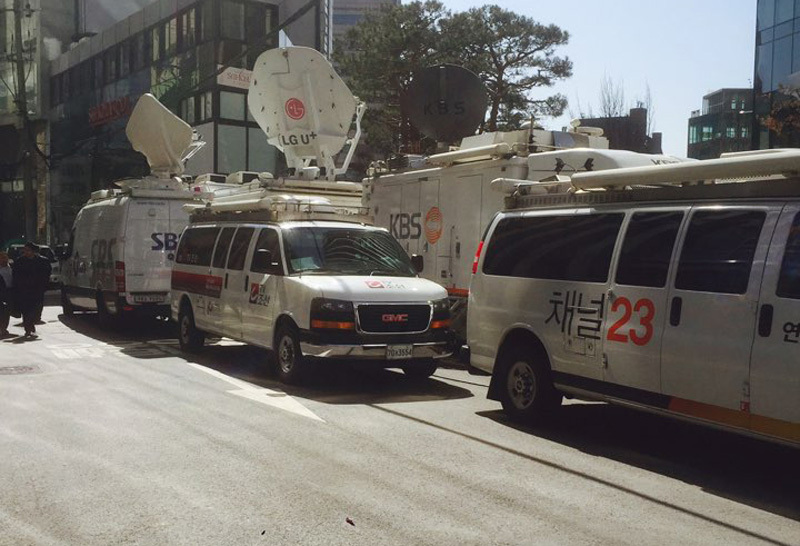 As a global event there were various news agencies from all over the world covering the story. 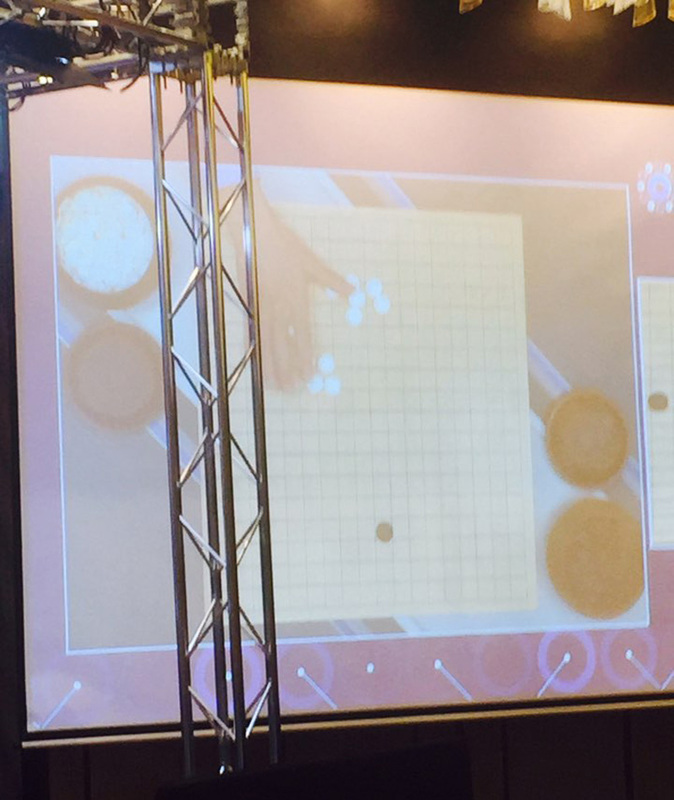 However, everyone was surprised by the defeat of Lee Se-dol.